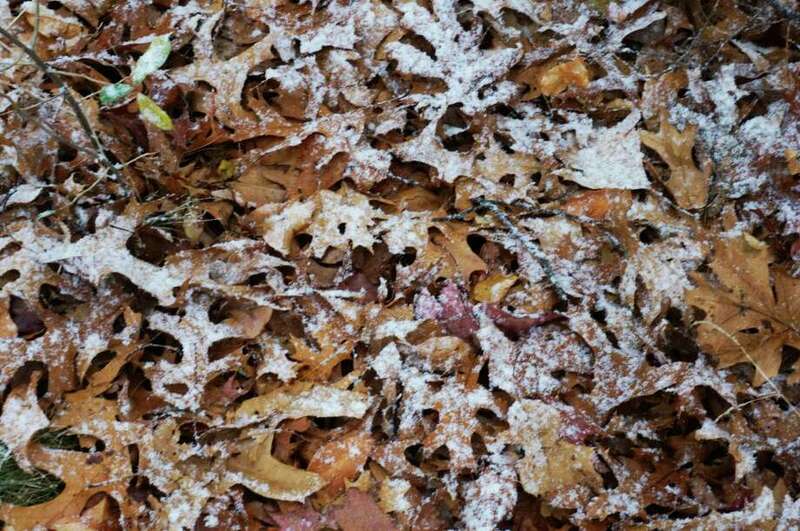 Though just a dusting, the snow didn't wait until winter to make its first appearance. "Winter" doesn't officially start hereabouts until nearly six weeks. But Tuesday morning, a harbinger of that season made its first appearance in Fairfield and the rest of southwestern Connecticut. A trace of snow gilded the edges of fallen leaves, and glistened on car windows and the still-smiling jack-o-lanterns left in Halloween's wake. The temperature plunged as well, with an expected daytime high of only about 40 degrees today -- and plunging to the mid-20s, according to the National Weather Service. Things are expected to warm up as the week progresses -- without a flake in sight. Yet.